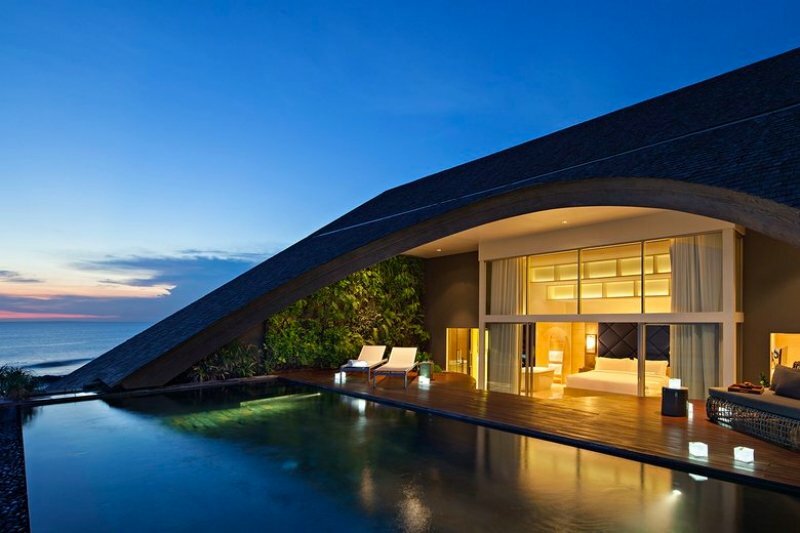 Keep your eyes peeled for these brand new hotel additions in Indonesia! Indonesia has always been a popular destination, attracting throngs of visitors from all corners of the globe. From Jakarta’s dynamic cityscapes to Bali’s swoon-worthy beaches, Indonesia does not fall short of impressing the world with its natural splendours and interesting attractions. As the tourism industry sees a surge of visitors annually, there lies a need to increase accommodation options to cater to more travellers. Jot down these eight new hotels that will be opening its doors to guests in 2018. 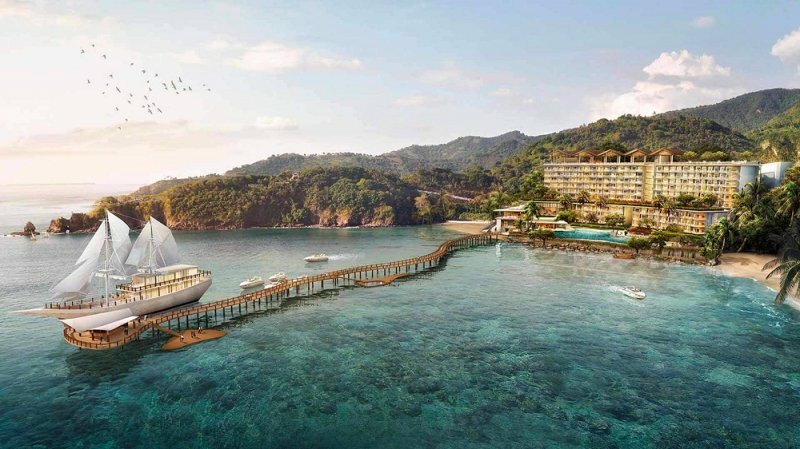 AYANA is launching the first and only five-pearl resort set in Flores Island’s dazzling Waecicu Beach. Flores Island is synonymous with one of the Indonesian Archipelago’s most picturesque islands. Just a short one-hour flight from Bali, AYANA Komodo Resort will commence operation in summer 2018. 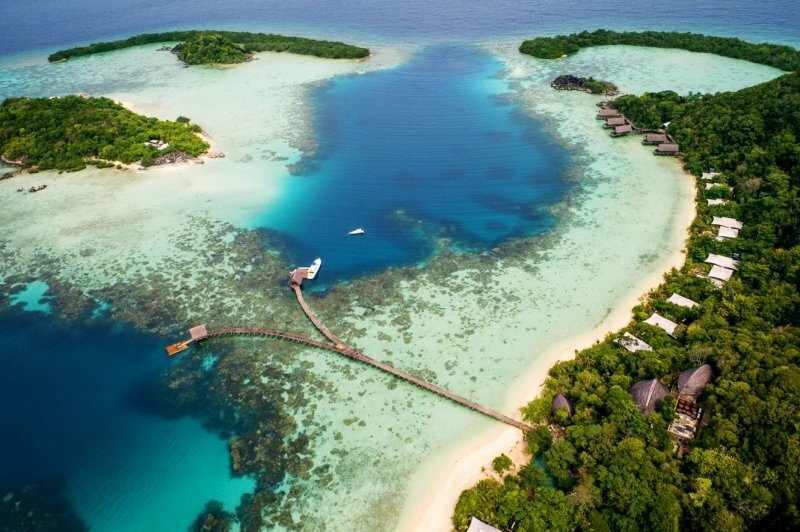 Replete with 12 suites and 189 premium guest rooms that feature unrivalled views of the cerulean seas and Kukusan Island in the distance, this resort is truly like no other. In keeping with the AYANA tradition, the rooms and service rendered here will be superlative. The unconventional design also means that guests would be checking in on the 11th floor instead of the ground level. Aside from that, AYANA Komodo Resort will also be debuting a nine-bedroom traditional “phinisi” sailing ship that can take guests around the island for a couple of nights. COMO Hotels and Resorts is set to open a luxurious beachfront resort at Canggu, on the southern coast of Bali, in February 2018. Located on the legendary Echo Beach, COMO Uma Canggu boasts 119 spacious guestrooms and residences including 12 lavish three-bedroom duplex penthouses (fitted with individual rooftop pools!). Combining Asian and Italian touches while retaining traditional Balinese elements, this stunning resort will ensure that your stay is cosy and comfortable throughout. Pamper yourself at the new COMO Shambhala Retreat and indulge in world-class spa treatments or perhaps embrace the beach’s surf scene (on-site surf centre available!) and ride top-notch wave breaks. Alternatively, just soak it all in from the impressive 115-metre long pool and drown your woes away. Capella Ubud’s lavish tent concept is an extraordinary one. Weaving in Bali’s mystical exotic past with modern conveniences, this ultra-luxurious tent is a hidden sanctuary like no other. With 22 unique tents and an extravagant two-bedroom lodge nestled within Ubud’s lush rainforest, guests can enjoy unparalleled views of the natural landscapes. Let the views sink in from the comfort of your spacious living area or in the private saltwater Jacuzzi pool. Personal Assistants are also at hand to tend to your every need and ensure that your experience at Capella Ubud is extra memorable. The camp’s timeless charm in a pristine setting coupled with amenities such as WiFi, complimentary smartphone (inclusive of data) for use, a refreshment trunk and an espresso machine will guarantee you the best of both worlds. With its strategic location in the middle of Legian and Seminyak, the four-pearl Fairfield by Marriott Bali Legian gives you the liberty to explore Bali without all the traffic congestion fuss. A five to 10-minute walk takes you directly to the vibrant Legian-Seminyak Raya Street and iconic Legian Beach. This business-friendly hotel also offers spa services, concierge services and other essential facilities such as meeting rooms and a business centre. The simple yet sleek decor of the hotel’s interiors are extra welcoming. With the rooms tastefully decked for your own personal comfort and well-being, get into the holiday mood and enjoy a hassle-free sojourn! Lombok has seen increasing popularity over its sister island, Bali, due to its crystalline waters, superb surf breaks and adventurous activities. 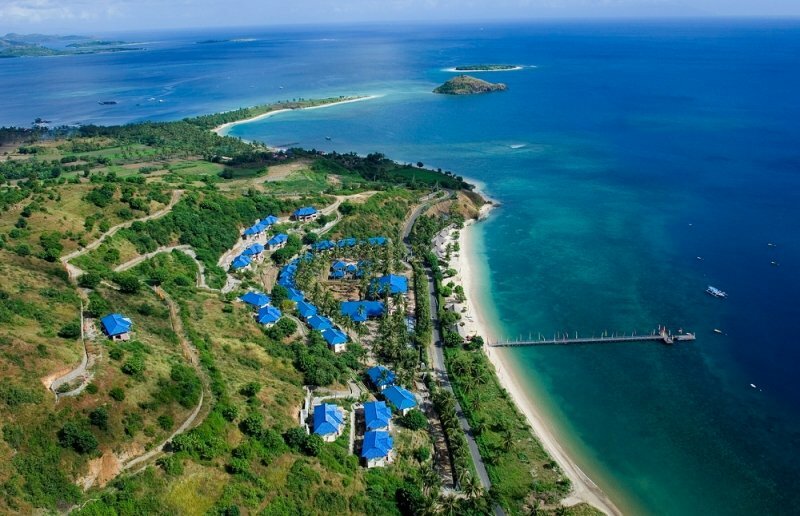 Sundancer Resort & Spa Lombok is set in Southern Lombok and is in close proximity to one of the world’s most famous surfing breaks: Desert Point. The all-suite resort overlooks the Lombok Straits and surrounding islets (Gili Islands!) that are prime for snorkeling and scuba diving. 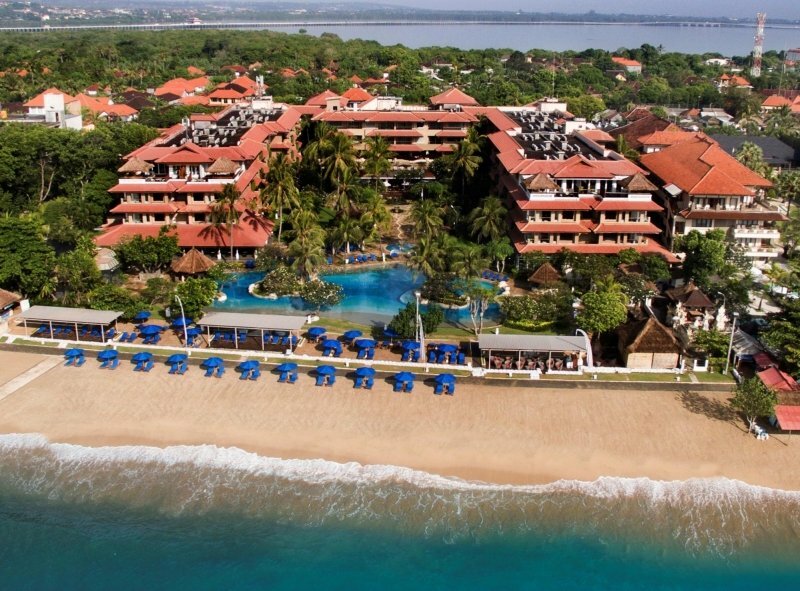 Boasting 66 one and two-bedroom suites as well as 76 deluxe villa lots, this resort is optimal for anyone in need of a peaceful getaway. There is a private beach club fitted with a bar right at the beachfront for days when you just wish to bask under the sun rays. If you are game for some adventure, participate in a slew of water sports such as windsurfing, jet skiing or tag along on diving excursions. The first Park Hyatt Hotel is set to launch in the first half of 2018 and will be situated in the heart of Jakarta at MNC Centre, Kebon Sirih. With the aim of capturing Jakarta’s multi-layered diversity and providing a fresh perspective of modern Indonesia, Park Hyatt will incorporate contemporary art and architectural elements to welcome both discerning global travelers and locals alike. 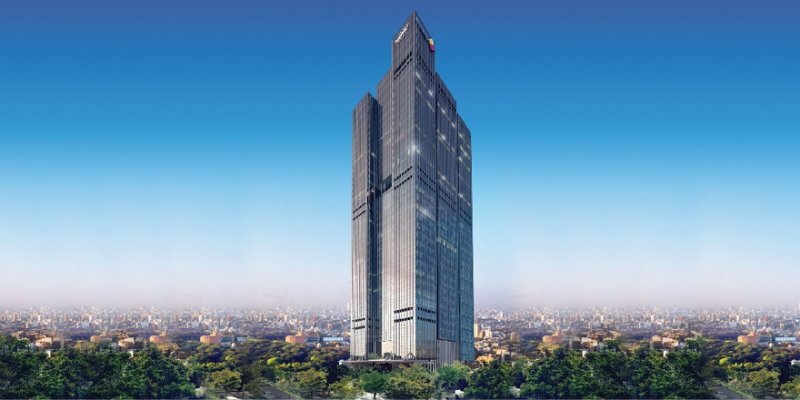 Positioned on the top 20 floors of MNC Land’s 37-floor building development, you can expect stunning panoramas of the city from this five-star landmark hotel. To top it off, there are excellent dining and entertainment options as well to enhance your overall stay. 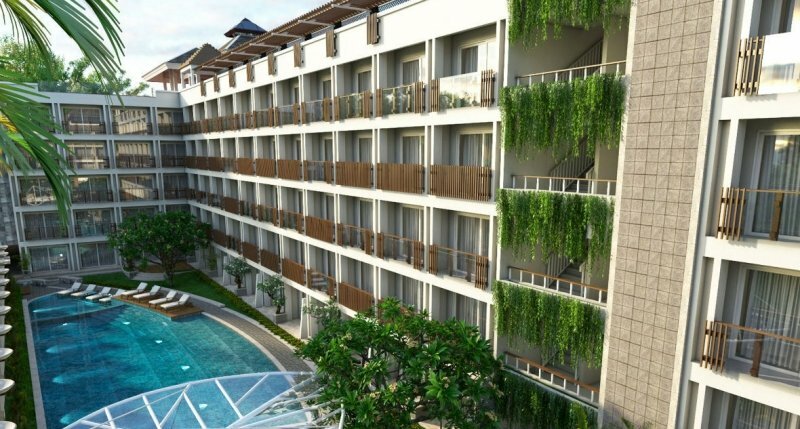 Hotel Nikko Bali, opening in April 2018, will be the only hotel managed by a Japanese enterprise in Bali’s coastal area. Just a 30-minute drive from Ngurah Rai International Airport, Hotel Nikko Bali offers 188 rooms all offering private balconies or porches that boast awe-inspiring views. The 20 luxury guest rooms will occupy almost double the floor space compared to the deluxe rooms. The exquisite resort atmosphere here coupled with the intricate Balinese design elements and Japanese-style hospitality makes this place worthy of a stay. Family-friendly facilities such as a nursing room and outdoor pool for children, six restaurants, a lovely spa and a fitness centre are just some of the other facilities to enjoy during your well-deserved retreat. Jl. 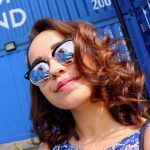 Nusa Dua, Benoa, Kuta Sel. This magical oasis, on Bali’s rugged southwestern coast, was carefully designed to capture the cool sea breeze and breathtaking ocean views. 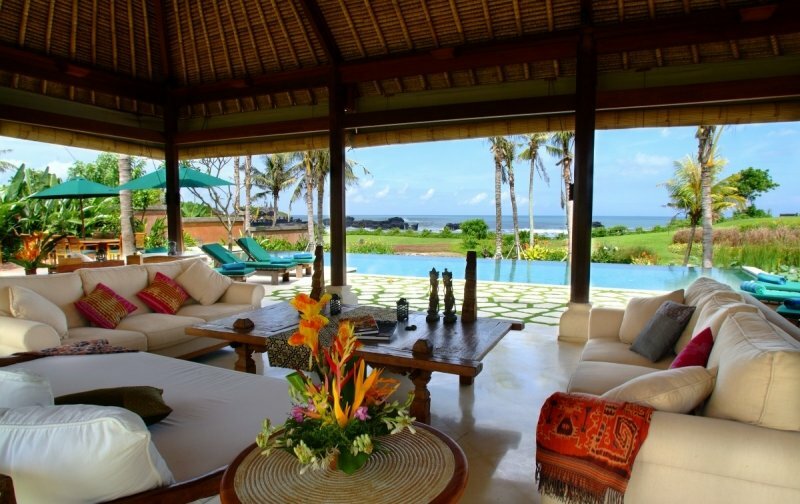 The six luxe beachfront abodes of Impiana Private Villas Cemagi feature separate living and sleeping pavilions that boasts Indonesian flair and charm. The impressive grounds and high-vaulted ceilings also highlight how spacious each villa is. Aside from dipping in the two idyllic swimming pools, guests also have access to a private tennis court, a games room as well as bicycles at hand to explore the surrounding rice fields and villages. From the sunset bale, you can also witness a postcard-worthy view of the dramatic coastline and admire the spectacular sea temple, Pura Gede Luhur Batungaus. Your villa experience is complete with five-star service, top-notch chefs that can whip up anything your stomach desires as well as housekeepers to keep the area spick-and-span. Nestled within six forest-clad islands and 13 white-sandy beaches, Bawah Reserve is the only intimate, luxuriously-sustainable retreat in Asia that offers unlimited spa treatments, top-notch guest experiences and round-trip transfers via its new amphibious seaplane. The retreat features 35 standalone suites surrounded by breathtaking sea views, stunning dawn to dusk vistas and idyllic lush forestry. Bawah Reserve also offers unrivalled experiences for both outdoor adventurers and paradise seekers who are looking for relaxation amidst some fun. From snorkelling in the blue lagoons and forest trekking to honing your yoga moves at the 30.5m high pavilion and energising your bod at the adjacent tennis courts – there are numerous activities to do! Otherwise, indulge in typical Indonesian flavours at the beachside and treetop restaurants or get a classic cocktail at any of the three bars. With direct access to the Light Rail Transit linking guests to the Sultan Mahmud Badaruddin II International Airport and the Jakabaring Stadium in five minutes, Wyndham Opi Hotel might be the city's most conveniently-located five-star hotel that is opened just in time for the 2018 Asian Games! 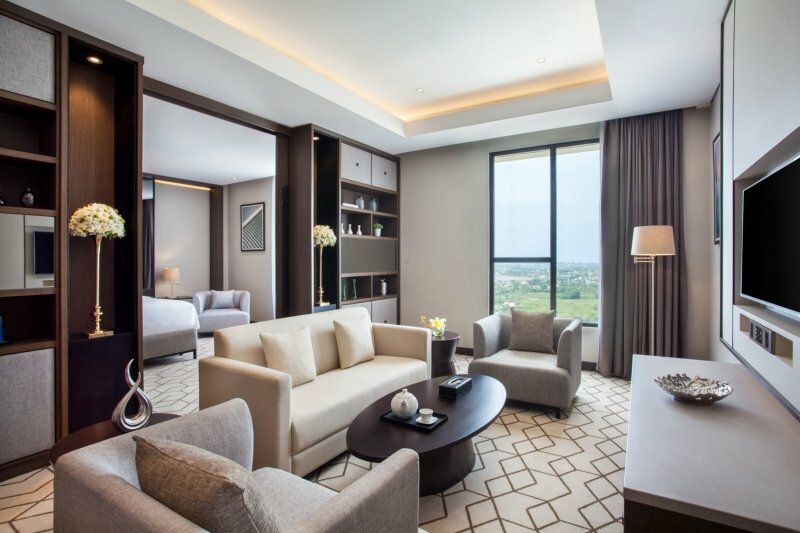 This 257-room upscale hotel has six room categories ranging from the stylish Superior Rooms to the luxurious Presidential Suite. It has a sleek and polished design, and a palette of neutral earth tones accented with a variety of textures and dark bronze contrasts, giving it a modern, luxurious touch. Every room is also decorated with a songket, a traditional textile made by local Palembang artisans. Besides the rooms, the hotel boasts a spa, a mezzanine infinity pool, a gymnasium and 9 Rivers, an all-day dining restaurant that serves sumptuous international buffet bound to tantalise your taste buds! With more hotels and villas sprouting in various parts of Indonesia, visitors can revel in more choices and discover lesser known areas such as Canggu and Flores Island. Take your pick and start planning that next exciting trip to Indonesia! Be inspired by more hotel recommendations in Indonesia at TripZillaSTAYS!